Dr. Bruce Campana, one of the physicians who treated the people poisoned Wednesday, said he's aware of at least 17 previous cases of carbon monoxide poisoning in the past few weeks. A number of carbon monoxide cases in B.C. 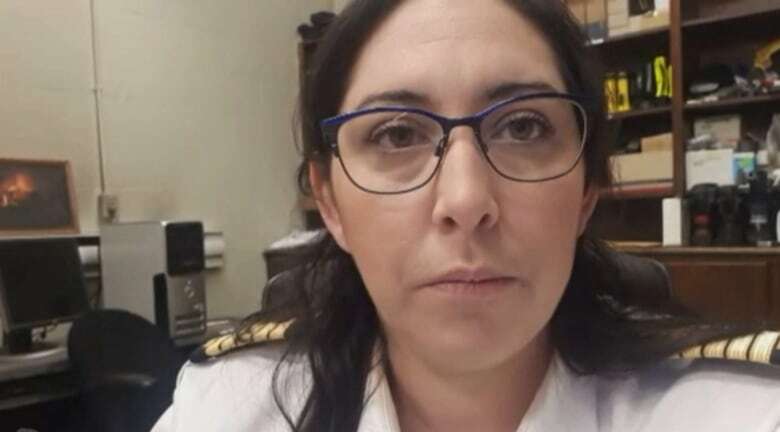 have kept the province's only hyperbaric chamber busy. Dr. Bruce Campana, one of the physicians at Vancouver General Hospital who treated some of the patients, called it an "insane" week for treatments. He said he's aware of at least 17 previous cases of carbon monoxide poisoning in the past few weeks. 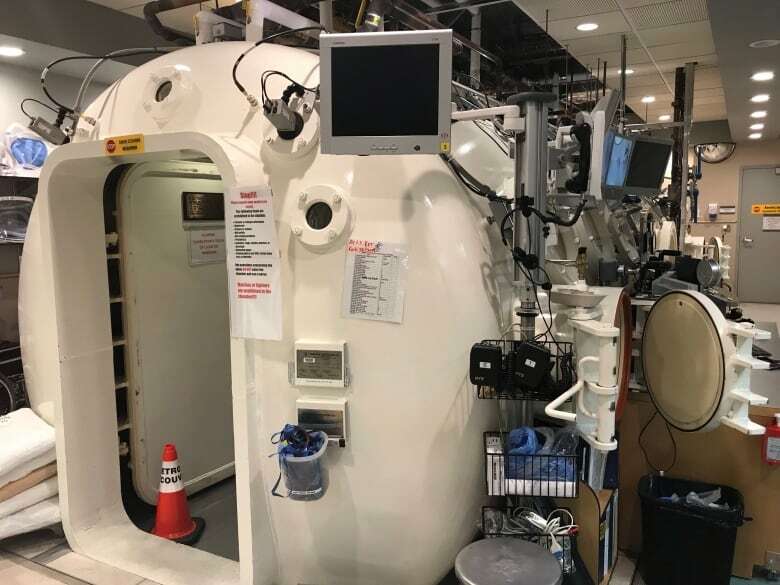 VGH is the only hospital in the province with a hyperbaric chamber used to treat carbon monoxide poisoning. Breathing in too much carbon monoxide can kill a person in minutes, as the gas replaces oxygen in the blood. The hyperbaric chamber provides oxygen therapy to reduce the gas in the blood, restoring proper oxygen levels as quickly as possible. 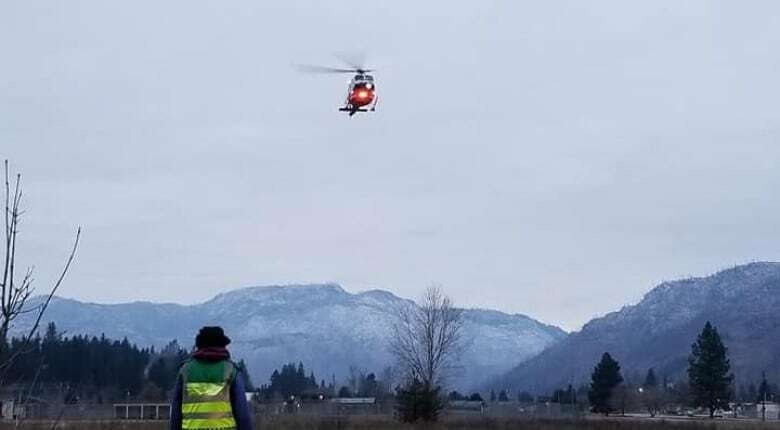 On Thursday, five people were airlifted to Vancouver for medical treatment after they were poisoned by carbon monoxide in Barriere, B.C. B.C. Emergency Health Services said two of the patients are adults and three are children. 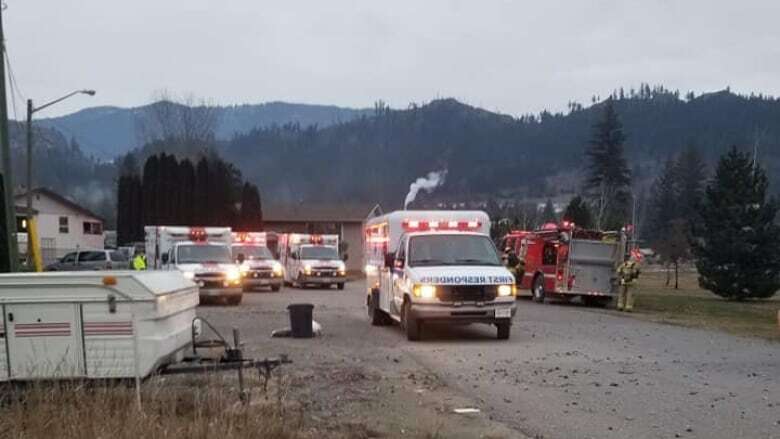 BCEHS spokesperson Shannon Miller said two ground ambulances and two air ambulances were dispatched to the family home just before 7:30 a.m. PT on Thursday. In a tweet sent just after 10:30 a.m. PT, BCEHS said the patients were in "serious but stable condition." Barriere, located 66 kilometres north of Kamloops, has a population of about 1,700. Barriere Fire Chief Ashley Wohlgemuth, one of several firefighters who responded to the call for help on Thursday, said firefighters found "really high" levels of gas inside the house. She said the call "hit close to home," given the community's size. "It is quite challenging in the small community because we do know everybody. We've grown up with these people and you see them every day," she said. Thirteen people at a Vancouver office were taken to hospital after being exposed to the colourless, odourless and tasteless gas on Wednesday morning. Twelve had been released from Vancouver General Hospital that same evening. As of 5 p.m., one person — who was the most seriously injured — remained in hospital in stable condition. Carbon monoxide safety tips from HealthLink B.C. Last year, a family four died of carbon monoxide poisoning in their Ashcroft, B.C., home. Investigators later determined the gas came from a malfunction with the hot water heater in the house. Furnaces and other heating devices can emit the gas if they malfunction, or if they were improperly installed. Carbon monoxide poisoning can happen suddenly or over time — breathing low levels of the gas over a long period of time can cause severe heart problems and brain damage. HealthLink B.C. says anyone who believes they have carbon monoxide poisoning should leave the area right away, and call 911 or go to the emergency room. More than 300 people in Canada die of carbon monoxide poisoning every year, according to a 2017 report from the B.C. Injury Research and Prevention Unit and the University of the Fraser Valley.